WhatsApp is the most popular messaging app, but there are still features that need to be added. Those much-anticipated features will hopefully come with the next update. Until that time comes, you have to depend on third-party apps for additional features. The following apps will give WhatsApp the features that will make the messaging app even better. For example, your contacts won’t have to wait to get an answer from you since you’ll have an auto-reply all set up. If the picture you want to add as a profile picture is too big, you’ll have no choice but to cut someone out. With WhatsCrop you can fit everyone in without having to decide who gets left out. The app is easy to use. Once it’s open, tap on the image icon at the bottom-right. Choose to take a picture or choose one that you already have on your device. WhatsCrop will fit the image into the circle automatically. If you want to personalize the background so that it’s not just white, tap on the pencil icon. There you can choose from a large variety of backgrounds, patterns and colors. To flip your image, tap on the arrow button, and keep pressing until the image is positioned just the way you like it. 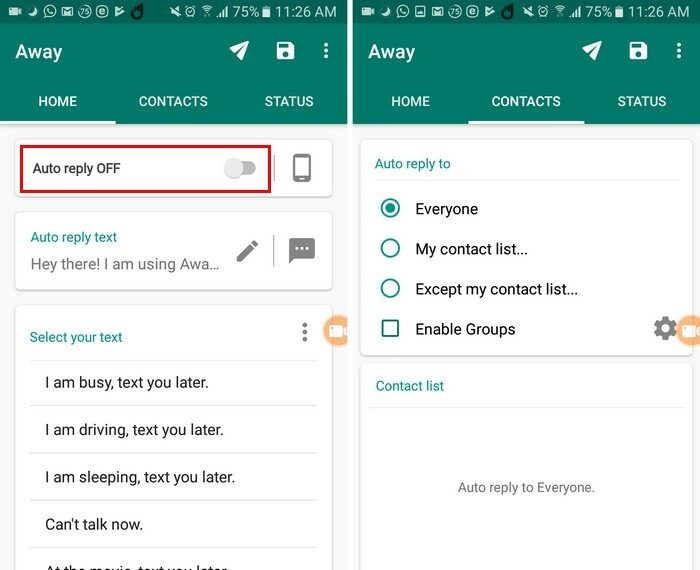 With Away, you can set up a personalized message that your contacts will get whenever they write to you. To create your first message, toggle on the Autoreply button. The next step is to tap on the pencil icon to edit the away message that has been created by default. Type your message, and tap on the green Done button. You can also switch from one message to another by tapping on the message you want. It will be changed automatically. If you don’t like any of the predetermined responses, tap on the three dots, and select the clear all option. In the Contacts tab you can choose who you want the message to be seen by: Everyone, My contact list, and Except my contact list. You can also enable groups. Now that WhatsApp supports stickers, you can finally give the emojis a break. The problem with sticker packs is that you might not be able to find the ones that display the message you want to send. 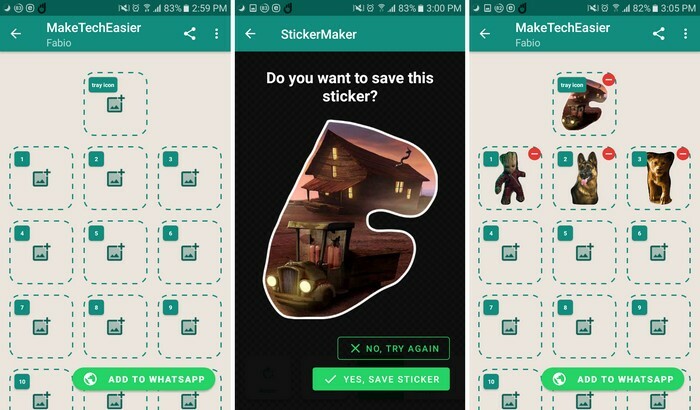 Sticker Maker allows you to create customized WhatsApp stickers with your personalized pictures. After giving your sticker pack a name, you’ll need to create an icon for the tray that will not be a part of the sticker pack. You’ll need to create at least three stickers to be able to add the pack to WhatsApp. Choose the picture you want to use, and follow the on-screen instruction of drawing an outline around what you want the sticker to consist of. Once you’re done creating, you’ll be shown a preview and choose whether you want to keep it or not. If you use WhatsApp a lot, then having a food wallpaper is a must since it’s something you’re going to be looking at a lot. The best wallpaper app you can have is Zedge. With this app you’ll have so many options you won’t know where to start. 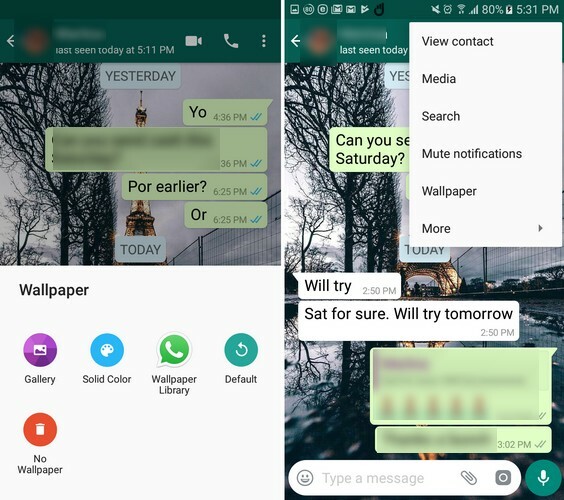 To change the wallpaper, open a WhatsApp chat and tap on the three dots at the top-right. 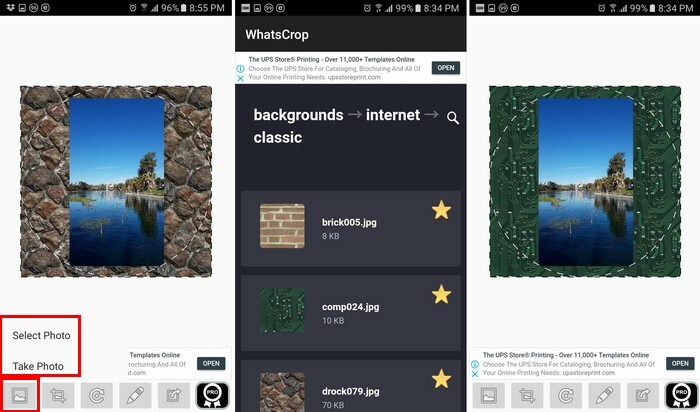 Choose the wallpaper option, as well as whether you want to select the image from the gallery, a solid color, the wallpaper library, default or no wallpaper. Tap on the gallery option since that’s where the wallpaper you downloaded from Zedge will be. Select your wallpaper, and then tap on Set at the bottom-right to make your choice final. 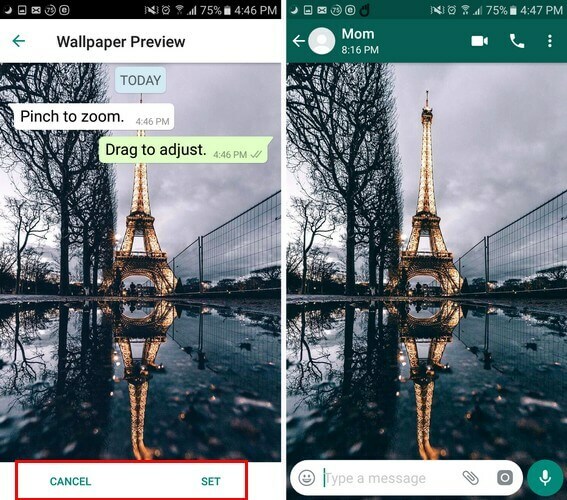 With the previously mentioned apps, you can help improve your WhatsApp experience. It would be better if you didn’t have to add any additional apps to make it better, but at least it’s possible. What app are you going to try out first?